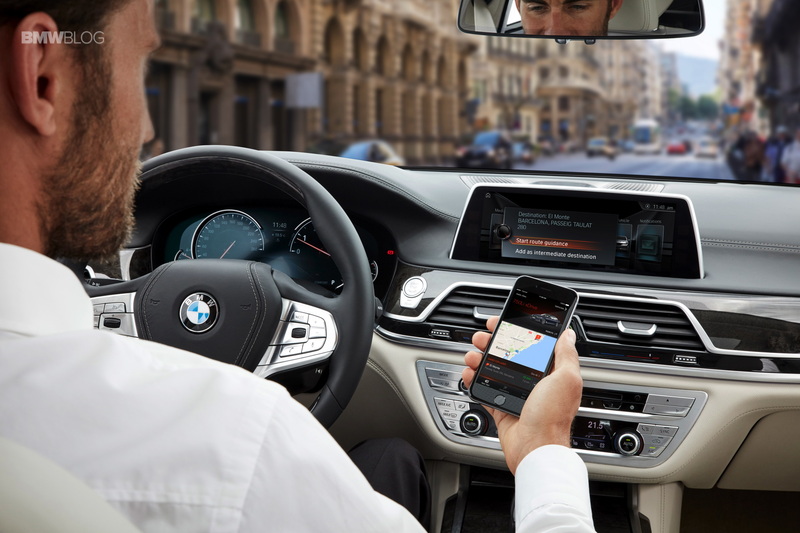 A while back the BMW Connected app was launched, aiming at further improving the way you connect with your car. These days, traditional car makers find themselves forced to invest in new areas of expertise and new functionalities to keep up with the world works. One of the key elements a manufacturer has to keep in mind is that people want more technology at the tip of their fingers. Coincidentally, that’s the part of your body you use when handling smartphones. These little pocket computers are becoming more and more important as time goes by. The amount of stuff you can do with them today didn’t even seem possible a decade ago. From paying safely over the internet using your fingerprint, to actually controlling and checking out your car’s status, things are looking better every day. The BMW Connected app wants to allow you to combine certain features you’re using on your phone with the infotainment inside your car. As the new iDrive 5.0 systems are rolling out this summer, they will allow you to connect at a deeper level with your smartphone. To highlight what can now be done using it, the folks over at BMW put together a short video. Once installed, BMW Connected scans for any mobility-related information, such as the addresses and arrival times contained in calendar entries, and notifies the driver of the ideal departure time for arriving at their destination punctually on the basis of real-time traffic information. The app can also transfer places and points of interest from other apps, storing them as a destination together with the desired arrival time, and then import them to the BMW in-car navigation system. In the case of hybrid and BMW i models, relevant data such as the remaining range or battery charge can be retrieved remotely and factored into journey planning. And that’s just a small part of what BMW Connected offers. You can also use it to set up notifications regarding departure time and for walking instructions, if you decide to park your car far from the place where you actually need to go, due to parking requirements. Some of these functions are showcased in the video below.